Meteorological Mindset | Mother Nature likes to throw us many highs and lows. Mother Nature likes to throw us many highs and lows. Predicting meteor showers is far from exact, and much of it depends on how well we know a given meteor shower. 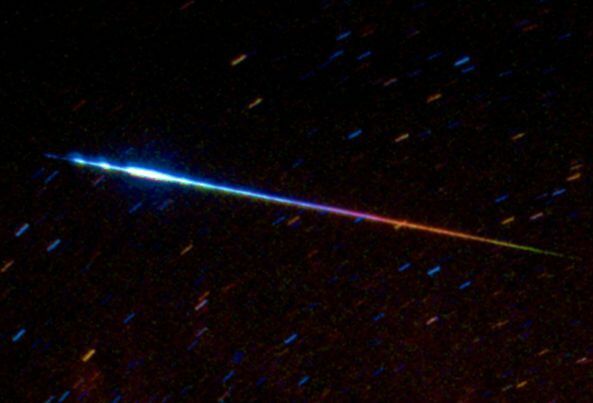 For a well-observed and studied meteor shower, such as the Leonids in November, we have a fairly accurate idea of when intense meteor displays will occur, thanks to all of the Leonid work done in the 1990s and 2000s. For a more poorly understood and/or observed shower or one that is more complex, like the Quadrantids and Draconids, we still get many surprises. On the night of May 23/24 of this year, we will probably get some unexpected results, as well. A short-lived, never previously observed meteor shower may occur then, with possible meteors emanating from the constellation Camelopardalis. The earth will cross the trails of dust left behind from Comet 209P/LINEAR then. If it were a more active comet nucleus, then it would be an easy-to-forecast and very rare meteor storm of 1,000 + meteors per hour. We haven’t had a meteor storm since the five Leonid storms that occurred from 1999-2002, in the wake of Comet 55P/Tempel-Tuttle’s return in 1998. However, 209P/LINEAR is a small, old comet that does not eject nearly as much dust and water vapor molecules, so there should generally be lower density of dust we intersect from the comet trails (much lower flux of meteoroids) from its past returns around the sun the past couple hundred years. However, we hadn’t been able to observe the comet back then, so it is possible it was more active a hundred or two hundred years ago than it is today. That would mean more meteors if that were the case. Altogether, a few predictions of meteor rates and times have been made. The peak time falls very well for North America. It should be around 6:30 – 7:40 UT (1:30 – 2:40 am Central Daylight Time) on May 24. It would probably be wisest to take a gander even earlier and maybe even stay later if the timing is a bit off. Predicted rates are around 200 meteors per hour if the radiant were at the zenith (directly overhead, 90 degrees high) and the sky were perfectly dark and clear, in the middle of a rural area. It is not impossible that a meteor storm could occur, or that a complete no show with no meteors could occur. We’ve never encountered any meteors from this comet, which makes it a lot of guesswork. The radiant is the place in the sky where meteors appear to originate if their paths were traced backwards. Do not stare directly at the radiant but keep your field of view large and keep your field of view entirely in the sky, so that you don’t want to waste any area of your sight on the ground where no meteors will appear. It will be good to keep looking in the opposite direction of the sky from where the moon is. The moon will be in the southeast, so you will want to put the moon at your back and face northwest. If it is cloudy, then that is no good, as clouds are lower in the atmosphere than meteors and will block the meteors from view. The radiant will be at an altitude of just under 30 degrees high for the St Louis, MO, area, so the amount of meteors will be cut in half, or slightly more (sine of 30 degrees is .5). That means the peak rate may be about 100 meteors an hour, or about 1 or 2 per minute?? It could easily be off by a factor of 2 or 4. The peak rate probably won’t last that long, maybe 5 minutes, possibly a half hour or hour if we are very lucky. The whole duration of the shower may be as short as starting 15 minutes before the peak and ending 15 minutes after, or it may gradually start a couple or even several hours before and taper off similarly. The radiant will be in the northern sky, so if you face the northwest away from the moonlight, many meteors may come in your field of view moving from right to left. Map of best locations given below. Blue is best, while green has fairly good conditions, and the greenish-yellow area is less ideal. The meteors are expected to be bright from this one, so the lunar interference shouldn’t be that bad. It will be a waning crescent and up in the predawn hours, but that is far less destructive than a full or a gibbous phase. 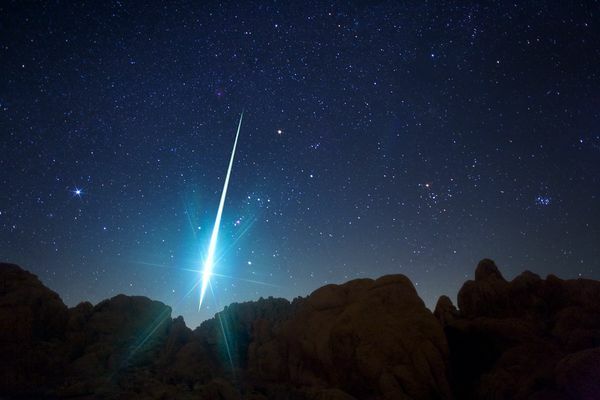 The meteors should be slow- slower speeds than you typically see for the annual major meteor showers. As with all meteor showers, dress more warmly than you would anticipate, since you will be sitting still and subject to things like wind and moisture. At least late May is a warmer time of year than the general peak time of the year for Northern Hemisphere viewing, which runs from the second half of October to early January. …and the parent comet of the Leonid meteor shower mentioned in the beginning, Comet Temple-Tuttle, returns in 2032. Hopefully, we may get some more meteor storms in the years 2033-2037. And finally, thanks to all of the work done with this shower already, including Lyytinen’s work in Peter Jenniskens’ Meteor Showers and Their Parent Comets (2006), Jeremie Vaubaillon (http://www.imcce.fr/langues/en/ephemerides/phenomenes/meteor/DATABASE/209_LINEAR/2014/index.php?char=year&body=Earth&year=2014&shower=209_LINEAR), Mikhail Maslov (http://feraj.narod.ru/Radiants/Predictions/209p-ids2014eng.html), and Ye and Weigert (http://arxiv.org/pdf/1311.0235v1.pdf). Two Big Dirty Snowballs in 2013? Forecasting how bright a comet will become months in advance a lot of times is like forecasting hurricane intensity 5 days out: good luck! However, we have two particularly noteworthy comets with real potential in 2013: Comets PanSTARRS (C/2011 L4) and ISON (C/2012 S1). First up is PanSTARRS, which should be at its nearest point to the sun, perihelion, on 10 March 2013. 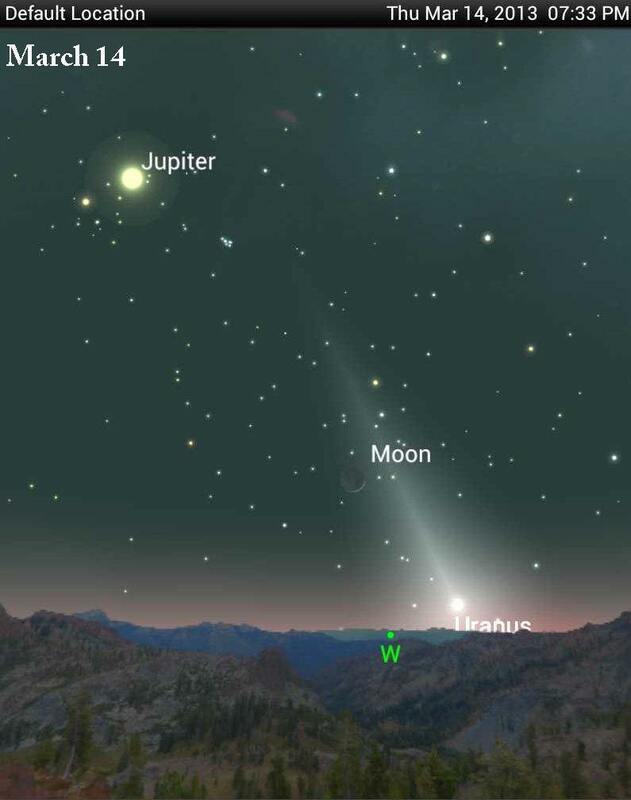 The week following perihelion is usually when a bright comet is at its best, and is also when PanSTARRS shoots to higher declination, making an appearance low in the western sky after sunset for those in the Northern Hemisphere. Current estimates put PanSTARRS somewhere around magnitude 0 to 1 in mid-March. Its perihelion distance is 0.30 AU (1.0 AU = mean earth sun-distance), coincidentally the same distance from Mercury to the sun when Mercury is at perihelion. This means that the comet will have some distance from the sun in the sky when seen from earth, as long as it is not in line with the earth and sun. That indeed is the case this return of the comet, and there is a fairly comfortable 15 degree angular separation from the sun in the sky. Sufficient angular separation from the sun in the sky, along a higher declination than the sun in the sky soon after perihelion will mean that PanSTARRS should be favorably placed for Northern Hemisphere observers when it may have a beautiful tail the week or two immediately after perihelion. PanSTARRS will hopefully be a treat, as the following picture would suggest (http://waitingforison.wordpress.com/comet-panstarrs/). Later in the year, we have Comet ISON. ISON was discovered less than 2 months ago, and has a tremendous amount of brightening to still undergo. Stellar brightness is measured by a concept called magnitude, in which a more negative value means an object is brighter. For example, the sun is about magnitude -27. The full moon comes in at about -13. Venus, the brightest planet, is usually around -4. Sirius, the brightest star in the nighttime sky is about -1.5, and the faintest stars seen by the naked eye in a very dark country sky are about magnitude 6. A small telescope that many people own will often show you object down to around magnitude 10. If an object becomes brighter, from magnitude 5.0 to 4.0, then it will become about 2.52 times brighter. If it brightens more, from 4.0 to 3.0, it will brighten by another factor of about 2.52- it’s a logarithmic scale. If an object brightens 5 magnitudes, it will become about 100 times brighter. Comet PanSTARRS is currently too close to the sun to be observed but is estimated around magnitude 10 right now. If it brightens to magnitude 0, it will brighten by a factor of 10,000. ISON is further from the sun and fainter right now, around magnitude 17. If it brightens to magnitude -13, then it will have to brighten by 30 magnitudes- yes, a factor of 10^12- a trillion! If it doesn’t get that bright but still a very respectable magnitude -8 at its brightest, it would still brighten by a factor of 10^10, or 10 billion. So, you can see, ISON still has a LOT of brightening to do. Comet ISON is what we call a sungrazer. It will get very close to the sun at perihelion on November 28, 2013- actually, in the solar atmosphere at a mere 0.0125 AU. Being that close to the sun is very dangerous for a comet, and it could well disintegrate. If ISON brightens as forecast, it would be visible in broad daylight but very close to the sun in the sky. It would likely have a long, skinny, very well defined tail. As it passes perihelion, it will also gain declination and be well suited in the Northern Hemisphere the days thereafter. It may be a splendid object the first week of December, visible in both the evening and morning sky. 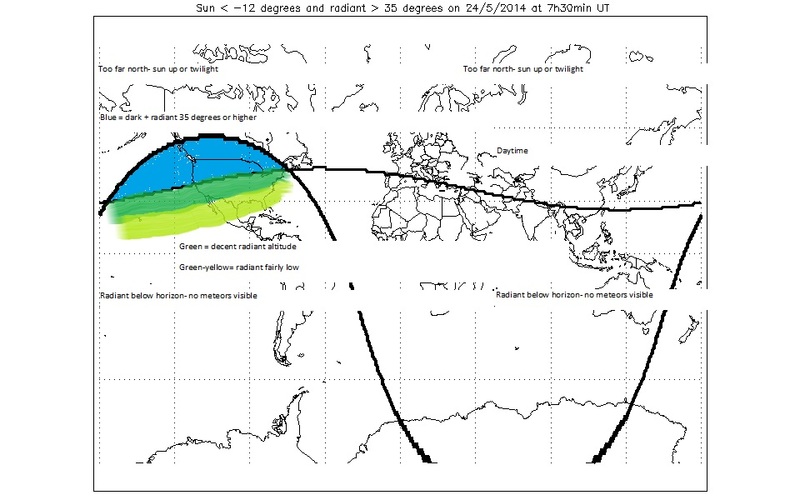 The maximum brightness of Comet ISON is much more uncertain than PanSTARRS at this point. At this time, I’d say that PanSTARRS has a greater likelihood of being a great comet as its situation has less extreme uncertainty. Great comets appear in the sky every 5-10 years, on average. ISON probably has a greater chance of fizzling… it also probably also has a greater chance of being an absolutely tremendous comet, a once-in-a-lifetime type of opportunity. So, the “error bars” on ISON are much higher at this point… greater uncertainty. If either of the two comets becomes a great comet, then that will be a wonderful thing to behold, and should be most appreciated! ISON’s tail will be sticking up out of the WSW after sunset and ESE before sunrise in early December, if all goes well. Shown is what ISON may look like from northern midlatitudes, if it brightens as hoped (image courtesy http://waitingforison.files.wordpress.com). Due to the move and new job, I have been unable to add any new posts to the website. For those wishing to satisfy their meteorological cravings, I recommend investigating http://apgweather.wordpress.com/ and http://folmercast.wordpress.com/ in the meantime. An approaching weak storm should provide for some snowfall. Indeed, snow is already starting in parts of the western Saint Louis metropolitan area. Expect snowfall to accumulate overnight, ending on Tuesday. A weak inverted trough, with lowest pressure to the south, extends from Texarkana into western Missouri and further north into eastern South Dakota. In the next image, you can see the isobars (black lines connecting locations of equal pressure) jut north along the inverted trough axis, along with a cyclonic (counter-clockwise) wind shift. Surface observations show generally light to moderate snow (2 to 3 snowflakes, with visibilities 5/16 mile or greater) in the vicinity of the inverted trough. Some low level dry air is present to the east of the snow, which will be eroded away as snow falls into it from clouds above and moistens the air below it. Critical thicknesses are well to the south of Saint Louis, meaning that this will be a snow event- no need to worry about other precipitation types. Next four images are vertical soundings of the atmosphere. 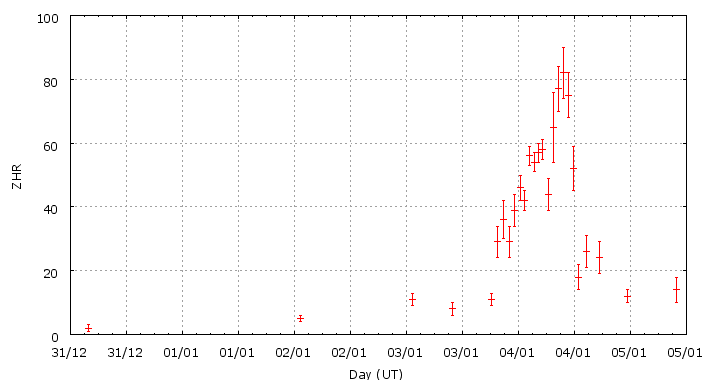 The first is from observations taken at Topeka, KS, at 1200 UTC 10 January (this morning at 6 AM local time). Red line shows temperature, while green line to its left is dewpoint. When the two get closer together, the air tends towards saturation, which is needed for clouds and precipitation. The three soundings thereafter are from the NAM, UKMET, and GFS models. Temperature and dewpoint curves are both plotted in black for the latter three. Like last storm, the UKMET is too dry. That is probably a big reason why that model is forecasting much less precipitation than most others. The forecast surface low track is provided from the Hydrometeorological Predictions Center below and shows a surface low developing around 6 AM tomorrow in the Lower Ohio Valley, near the IL-IN-KY border. This is fairly far north for Saint Louis snow events, and some midlevel dry air may wrap to the south of the band of heaviest snow- possibly into the Saint Louis area- with this type of track. 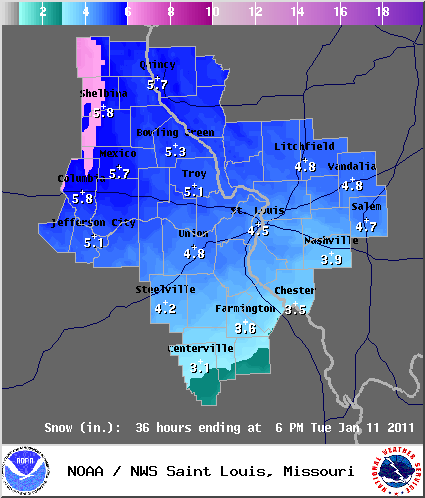 As such, heaviest snows may occur a bit to the west and north of Saint Louis. The Hydrometeorological Predictions Center is also rather low in precipitation totals for Saint Louis, only forecasting 0.10-0.25″ liquid equivalent for the area. If one assumes a 13:1 or 15:1 ratio for the snowfall to rain water equivalent (it will be enough below freezing that it should be higher than 10:1 or 12:1), then this would translate probably around 2-3″ snowfall. Most forecast models are a bit higher, around 6 or 7 mm (about 0.25 to .30″) which may translate to around 3-4″ snow or slightly higher. The UKMET is lower, though it was too dry last storm and appears to have trouble with generating moist soundings for both events. The higher resolution models put out what appears to be .25″ to .35″ or so of liquid equivalent precipitation, in the neighborhood of about 4″ snow. The GFS ensemble shows values from many GFS model runs with parts of the model tweaked differently. The different model runs attempt to ascertain uncertainties in the atmosphere, partially due to uncertainty in the state of the atmosphere and defects in our understanding of it. The GFS ensemble members are a bit drier, with about 50% or less showing 0.25″ for the Saint Louis area. That would put snowfall closer to 3″ here. The national weather service shows higher amounts to the northwest and lower amounts to the southeast- a good bet. They show about 4.5″ at Lambert airport, with about 4″ in southeast suburbs and 5″ in northwest suburbs. National weather service forecast looks reasonable, generally, though I may personally go about 1/2″ lower on snowfall amounts, as this storm system is a bit weak, and moisture is rather limited. The Quadrantid meteor shower peaks in the dark hours between midnight and dawn on Tuesday morning, January 4th. The peak coincides nicely with the arrival of the new moon, so moonlight will be of no concern. Meteor showers are typically named for the constellation from which they appear to emanate, if their paths are traced backwards in the sky, they will converge to a point (“the radiant”). The Quadrantids appear to come from portion of the no longer recognized Quadrans Muralis that is now in northern Bootes. More concretely, the radiant is below and slightly left of the Big Dipper handle, as seen from mid-northern latitudes. January weather is often bitterly cold, so many layers of heavy clothing is a must. The following image, from http://www.rap.ucar.edu, shows clouds predicted by the North American Model (NAM) at 6 AM on Tuesday, January 4th. For portions of the Eastern Seaboard, the Plains, the Southwest, California, and Florida, clear skies should prevail, which is needed for meteor viewing. The Ohio and Tennessee Valleys, Great Lakes, Rockies, Intermountain West, and Pacific Northwest are forecast to have less luck with clouds. The Quadrantids are one of the “Big Three” meteor showers of the year, along with the Perseids of August and Geminids of December. However, it is more difficult to catch high meteor rates associated with the Quadrantids because of their short peak. They are medium speed meteors, hitting the atmosphere at about 42 km/s. In this case, the radiant is highest in the sky after sunrise. Most meteors are seen when the radiant is highest, thus the last couple dark hours before dawn, about 3:45-5:45 AM in Saint Louis, and similar local times for other northern midlatitude sites. 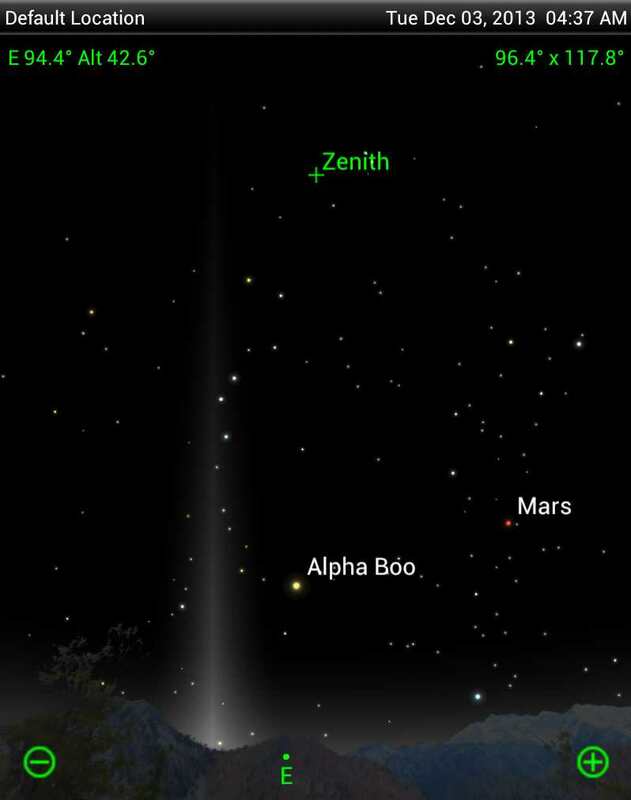 The following image, located at http://www.northmuseum.org/Portals/0/Planetarium/Monthly%20Sky/Quadrantids%202011%202am.jpg, shows the Quadrantid radiant around 2 AM local time. The radiant will rise as the night progresses, and will appear similar to the diagram below shortly before the onset of morning twilight (around 5:30, 5:45 AM for Saint Louis). Venus will rise and be very bright in the southeastern sky and can cast shadows on a white background from a dark, country sky. As noted earlier, adequate clothing is a necessity. Several layers of clothes, with as little exposed skin as possible, is desirable. Make sure to keep the extremities, especially feet and hands, as warm as possible! Bringing binoculars to view trains from bright meteors can be fun. In addition, taking a break from the cold for 15 or 20 minutes every hour is helpful in order to stay more alert. If you are getting very cold quickly, more frequent breaks may be needed. Expected rates may be about 20-25 per hour from the central and eastern US for the last couple dark hours before dawn. There will be minor showers going on, the antihelion and apex meteor sources, and sporadic meteors, which may add another 12-18 meteors per hour in addition to the Quadrantids. Get to as dark of skies as possible, well away from city lights. If you are not under dark, country skies, rates will be lower, and if it is cloudy, the clouds will block the meteors and render viewing useless. 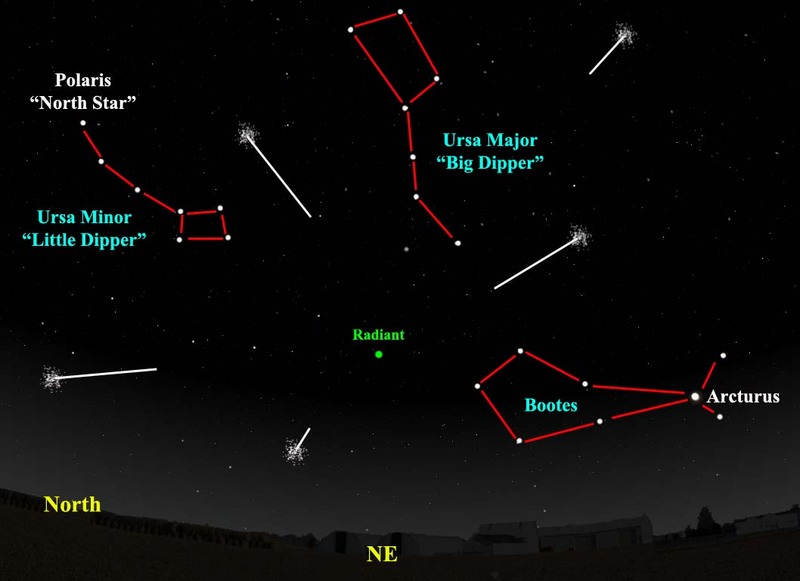 The Quadrantid meteor shower is highly variable in strength. The next two figures show the Quadrantid analysis from the International Meteor Organization in 2008 and 2009. Moonlight severely interfered with the shower in 2010. You can see that the ideal (“Zenithal Hourly Rate”) peaks at a little over 80 in 2008 and nearly 150 in 2009. 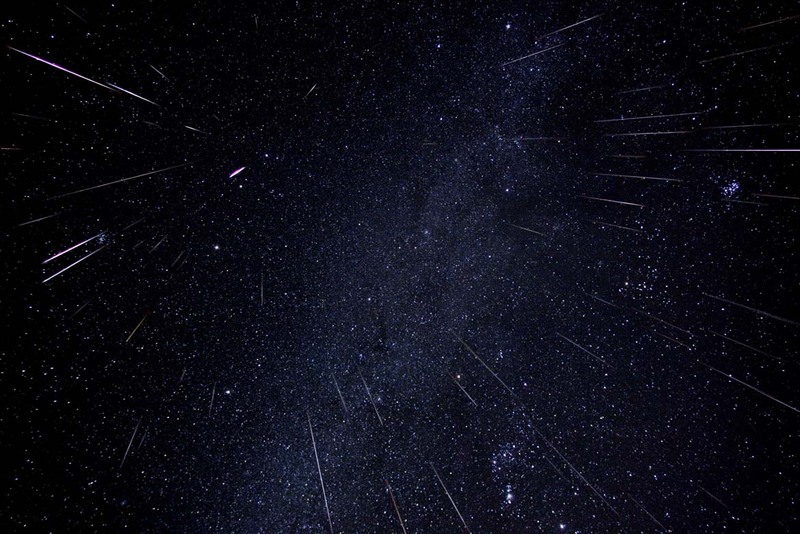 The Geminids and Perseids typically show more consistency in strength from year to year. On average, the maximum Zenithal Hourly Rate for the Quadrantids is around 120, similar to the Geminids, and a bit stronger than the Perseids. The peak is short-lived, with rates of at least half-maximum only lasting 8 to 9 hours on average. The meteor profile is asymmetric in that the ascent is usually a bit more gradual, and the rates usually drop off more quickly after the peak. The peak should occur around 06-09 UTC January 4th, or about 6-9 PM local time on the evening of January 3rd for the central United States. That puts central Asia westwards to Europe in the prime location this year. By the time of good viewing after 3 AM on the morning of January 4th, we should be 6 hours or more after the peak. Peak timing is not definite, as this meteor shower has not been as well observed or modeled as the Leonids, Perseids, and Geminids. Still, meteor rates should drop off considerably by the time the radiant is high in the sky for the United States, to maybe a couple dozen meteors per hour. Next image shows an impressive Quadrantid. Best of luck, and stay warm! Making the Dream of a White Christmas a Reality! In Saint Louis, the historical chances of a white Christmas (1″ or more of snow on the ground) is pretty low, in the neighborhood of 15-20%. This year, it appears that we may buck the norm. A comparison of charts from NAM and GFS, as shown in the next two links, indicates general agreement. The comparison provided from http://www.nco.ncep.noaa.gov/pmb/nwprod/analysis/ does not feature all of the same fields between the models- so, that may be a little annoying to the user. Regardless, the surface area of low pressure will be very weak. The snow will occur in association with a batch of increased low-mid level moisture, mid level vorticity, and perhaps some weak upper level divergence provided by the polar jet stream. That is, atmospheric features higher up, at 5 miles or so, are better than along the ground at helping create this upcoming snowfall. In the Saint Louis area, temperatures from the clouds to the ground should remain below freezing and be conducive for snowfall and possibly also freezing drizzle at times, when the precipitation is falling at a very light rate. NAM, GFS, and UKMET model soundings are shown below, with the two black curves being temperature and dewpoint. When the left curve (dewpoint) touches the right curve (temperature), the air is saturated. The following soundings are all at Lambert Airport in Saint Louis at 6 PM Friday evening. The first two show much more low and mid-level moisture, especially the GFS (second sounding). The last model sounding, the UKMET, is much drier. Not surprisingly, the UKMET calls for little more than just flurries or freezing drizzle at this time. I was unable to see or obtain any BUFKIT soundings. Such data often reveals even more about the vertical structure of the atmosphere, such the area of the maximum upward vertical motion and temperature and moisture in and around that region, which can give a further understanding of what to expect in terms of snowfall potential. The following four model diagrams are for total liquid-equivalent precipitation (in millimeters, if the snow were to be melted and then measured) to be expected with the coming storm on Friday and Friday night. The second model, the GFS, and the fourth model, the GEM, are the wettest for the Saint Louis area, suggesting 2-3″ snow. The third model, the UKMET, is drier, with little or no snowfall for Saint Louis, while the first model, the NAM, indicates a large gradient in snowfall. For the NAM, the W and SW parts of the Saint Louis area may see up to 3″ of snow, while parts of the eastern portion could see 1″ or less. Of the four models depicted, the UKMET appears to be an outlier in its precipitation structure, showing a less coherent storm structure, particularly on the northern side of the precipitation shield. Given frequent model south of track biases often 2-3 days ahead of a winter storm event, the potential for some accumulating snowfall around Saint Louis looks good. The following ensemble plots- mostly based on tweaking the GFS model in the following two images, indicate a greater than 70% chance of 0.25″ of precipitation from 6 AM Friday to 6 AM Saturday and only about a 10% change of 0.50″ precipitation for the same time period. That means about 3″ of snow would fall according to this data. The Hydrometeorological Predictions Center is drier, indicating only about 1-2″ snowfall. The local National Weather Service office has amounts from a little over 2″ to about 3″ in the area. The local Saint Louis National Weather Service Weather Forecast Office has issued a fairly good forecast, given the current data. 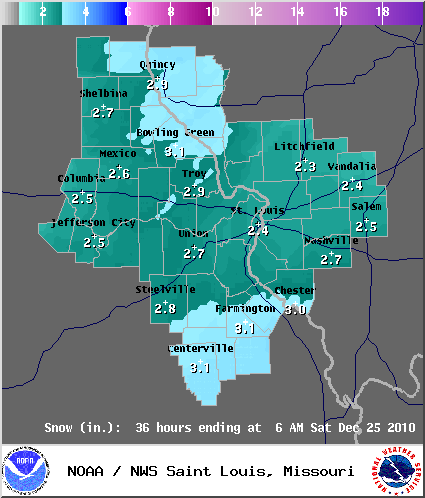 As of Wednesday afternoon, December 22nd, the possibility of 2, maybe 3, inches of snow on Christmas Eve looks fairly good for the Saint Louis area. So, forecasts of 1-3″ or 2-4″ would be well-justified. Obviously, things can change within the next 48 hours, as we get more data nearer the time of the snow event. For those of you with clear skies tonight, the Geminids should be delightful. An area high pressure with frigid polar origins covers most of the region, bringing temperatures much below average in association with and ahead of it. The following plot, from rap.ucar.edu, shows the surface high pressure axis extending from Minnesota into western Missouri. Ahead of the ridge, cold, dry air and northwesterly winds prevail. To the west of the high axis, warmer southeasterly winds have become established, delivering temperatures above freezing in parts of the southern and central Plains. 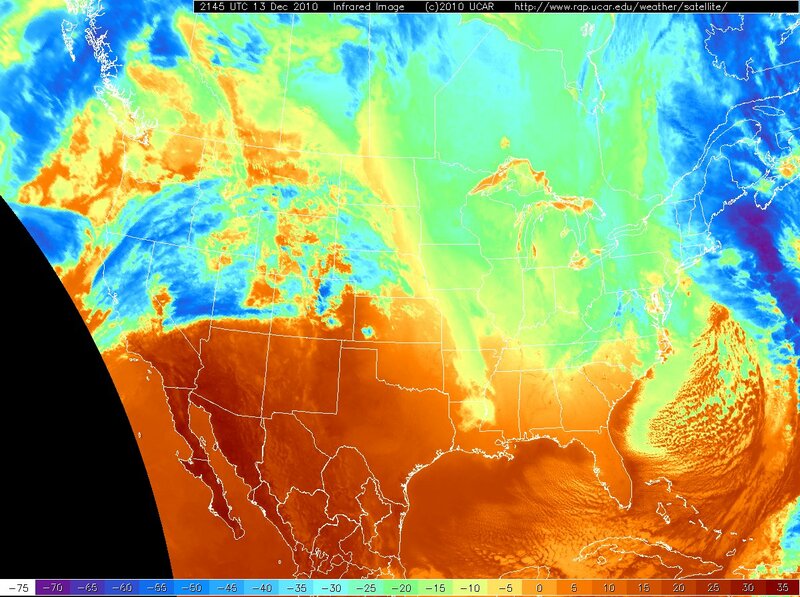 This infrared satellite image, also from http://www.rap.ucar.edu, shows some scattered clouds as well as cold surface temperatures in parts of the Midwest. Some of the yellow, green, and blue colors in the Midwestern states to the east of the Great Plains are due to snow cover and very cold surface temperatures. There are scattered clouds, particularly in Missouri, Iowa, and Ohio, as well as parts of the Great Lakes and coastline downwind of the lakes. For most of the region, skies should be mostly clear, which is needed for meteor viewing. The Geminids are perhaps the strongest and most consistent meteor shower from year to year, peaking December 13th and 14th. They are slow to medium speed meteors, hitting the atmosphere at about 35 km/s. The come in various colors, common ones being white, blue, yellow, and green. If you are outside around 1:45 AM on the peak night, rates in the neighborhood of 1 meteor per minute can be expected. For the Geminids, be sure to dress warmly! Several layers of clothes, with as little exposed skin as possible, is desirable. Bringing binoculars to view trails from bright meteors may be a good idea. In addition, taking a break from the cold and from viewing for 15 or 20 minutes every hour is helpful in order to stay better focused. You may also find it helpful to bring a thermos of hot chocolate or apple cider to help stay warm. The moon will set around 12:30 AM. 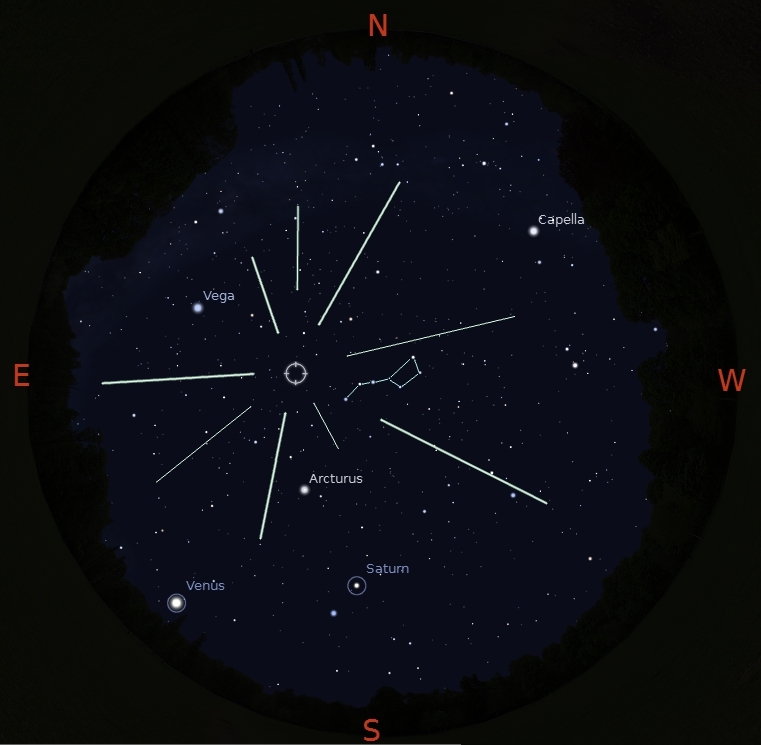 The meteor radiant is highest around 1:45 AM, so viewing the shower from 12:30 – 3 AM will likely yield high rates. 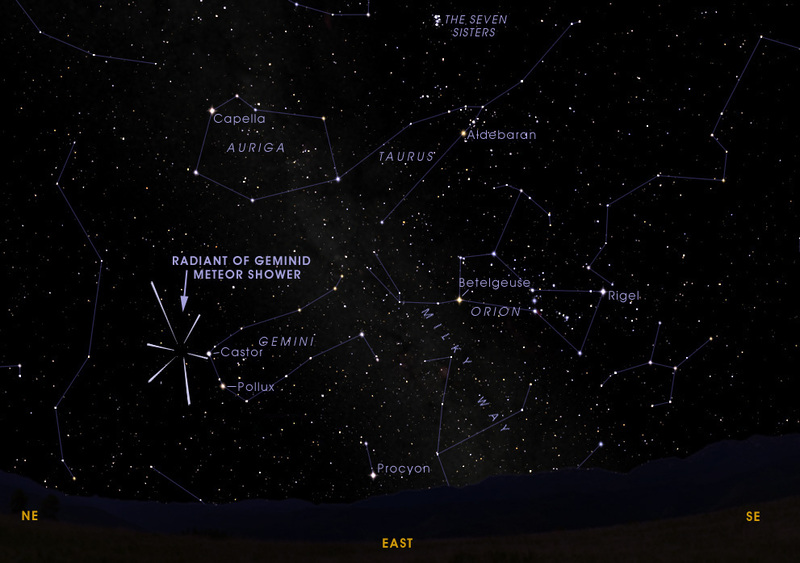 The radiant, or place in the sky where Geminid meteors appear to originate, is near Castor in the constellation Gemini. There will be several other minor showers going on, the antihelion and apex meteor sources, and sporadic meteors, which may add another 10-20 meteors per hour in addition to the Geminid meteors. Get to as dark of skies as possible, well away from city lights. If it is cloudy, the clouds will block the meteors and render viewing useless. Wait until 12:30 AM or afterwards to watch, as moonlight brightens the sky and will drown out fainter meteors. As the earth rotates, the Geminid radiant will shift from the eastern sky in the evening to due south and highest around 1:30 and 2 AM and become increasingly situated in the western sky thereafter. Again, be sure to bundle up, and enjoy!